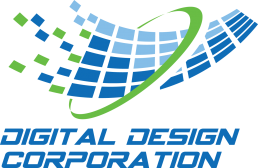 When DDC’s chip, board and software design is combined with our equally competent concept-to-manufacturing services, we can bring your product concept to prototype and full scale production. The DDC team is expert at translating design requirements into working, effective products, with extensive testing and experience allowing us to identify any irregularities in the process and ensure a smooth manufacturing flow. DDC has a full staff for operations, procurement, testing, and certifications, with complete manufacturing project management. DDC has comprehensive process flows and tracking systems and is ISO-9000 certified. We work with cutting edge tools, technology, and partners with deep roots, allowing us to provide our customers with the highest quality products or sub-systems in the shortest design cycles possible. As a result, our customers can bring their products to market much faster, and with confidence in our expert manufacturing project management for high quality results. Years of experience have taught the DDC operations team to be accurate estimators and reliable schedulers. This allows us to complete your project on schedule and within budget.